For Jacqui Saldana, the kitchen has always been synonymous with family. As a young girl, she recalls sitting in her abuela’s kitchen in Costa Rica, as her grandma dumped large bags of dried black beans on the table. 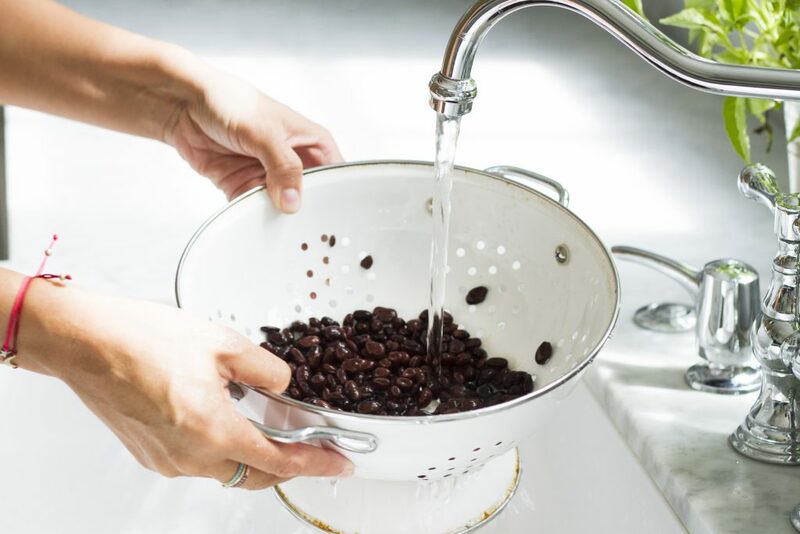 In her signature uniform — a tattered red bandana and a paper-thin white apron with “Costa Rica” emblazoned on the front — Jacqui’s grandma would show her how to quickly sort the beans by scuttling small fragments to the side. Even now, many miles away from her family’s home country, a bite of Arroz con Pollo or Gallo Pinto will immediately transport Jacqui back to that kitchen, next to her grandma. “We frequently make these meals not because they are what we know, but because when we do we can feel my grandma’s spirit,” says Jacqui. 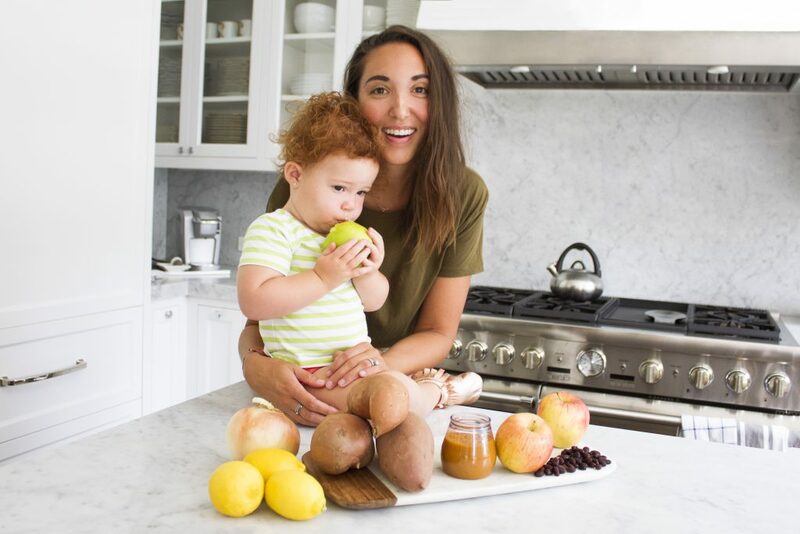 We recently teamed up with the L.A.-based lifestyle and recipe blogger and founder of Baby Boy Bakery, to craft Yumi’s latest flavor, the aptly named “Baby Boy Chili.” In honor of Jacqui’s grandmother, this dish features black beans, sweet potato, and apples and is seasoned with aromatic cumin and a hint of lemon. The black beans provide an iron and protein boost, which are essential for growing brains, and the sweet potatoes add beta carotene (which is converted to vitamin A in the body) to boost healthy eyes. This meal is fiber-rich, keeping everything 💯 for tiny tummies. Since our launch, Jacqui has been a friend of Yumi and a source of inspiration. 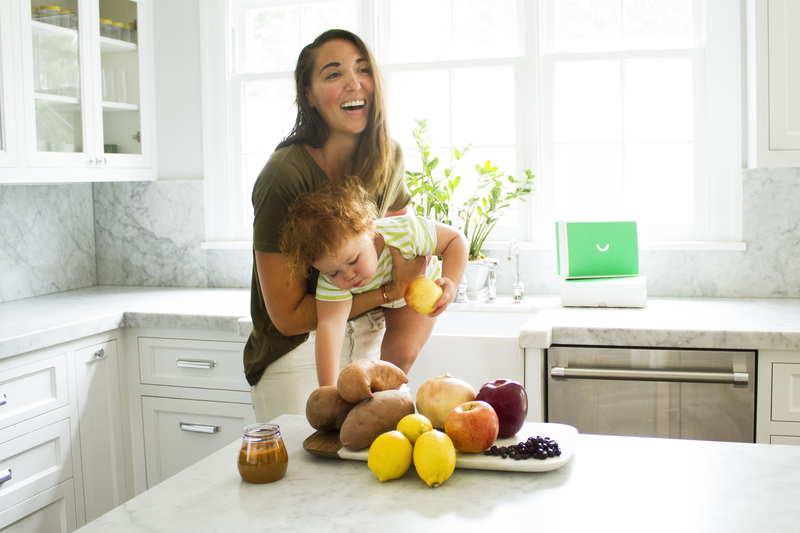 A longtime storyteller and lover of food, she started her blog after the birth of her first son Ryan. She documented the foods they cooked together as he transitioned to solid foods. Sadly, in 2014, tragedy struck when she suddenly lost her son Ryan. She turned to her blog, Baby Boy Bakery, to discuss her loss and help others who were also experiencing grief. Today, she’s still cooking and helping families embrace the joy of food together. What does food mean to you? How did you fall in love with cooking? Food to me means memories. I have such fond memories of my grandma and mother cooking with me in the kitchen. It was those memories that fueled me to cook with my own children. Even at their young age, the time spent in the kitchen is wonderful. It’s messy, but it’s also truly fun! I love when you take a bite of something and it immediately transports you to that one time when … Food can bring you back to the most happiest of times. And I will say, it all starts when we are babies. Food is love and from love comes the best moments of your life. 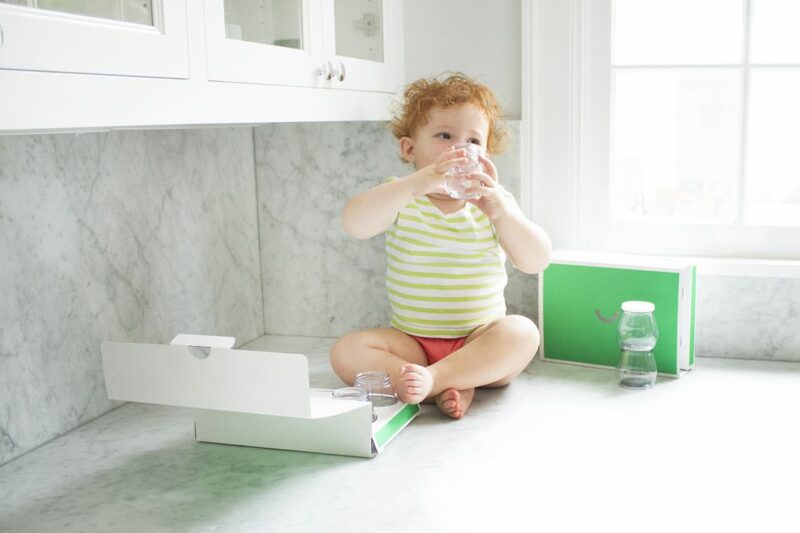 What advice would you give to parents who are looking to get their children more involved in their kitchen? I would say to start with the simplest of things. Bring them in when making toast and jazz it up by layering it with peanut butter and sliced bananas. Have your child try spreading the peanut butter or laying the banana slices onto the bread. Have them stir batter or cut out cookies. Try prepping all your ingredients before bringing your child into the kitchen and have them put it all together. For example, pre-measure and prep all your fixings for a hearty salad. Then bring your children in and have them pour in each ingredient then toss together. Remember, things take a bit longer when cooking with children so patience is everything. The mess is inevitable. Though you can clean up the mess, the memories will last a lifetime. How do you design the recipes for Baby Boy Bakery? All my recipes stems from one of two things. Either they are inspired by a memory or family tradition. Or they are a simplistic take on a household classic and I find ways to get the whole family involved. I love creating things that are easy to make but also have steps that allow your kids to take part in. What is one of your fondest cooking memories with Mila? How often do you cook? What does a normal week look like for you? How do you make it work when life is busy – any fun meal hacks/ meal prep? We cook dinner every weekday night together and our weekends are open for our favorite take-out or burger joint. We also make pizza on Fridays and some sort of pasta. We love grilling chicken and tossing it with baby spinach and other toppings. What we put together isn’t difficult and takes less than an hour to prepare. I am a busy mom who runs my own business and my husband is a personal trainer. So when it comes to dinner time we tend to lean on quick, healthy versions of pasta and tacos. As I mentioned before, we swap ground beef with diced sweet potatoes when making tacos. We love using brown rice pasta and quinoa pretty much pulls any dinner together. I try and make dinner fun by laying things out and having my family help me put it all together. And truthfully … dessert after every meal is something we indulge in. Because why not?! You can search ‘recipe’ on my blog for tons of dinner (and dessert) ideas. Tell us more about your “baby boy chili” recipe — How did you pick the ingredients? This ingredient combination is actually a staple in our home. We tend to use sweet potatoes in exchange for ground beef when making tacos and the result is a sweet, savory filling we’ve come to love. When creating baby food I strive make the same food we enjoy as adults for our children. I believe exposing them to spices and different flavor combinations is imperative to helping them develop a healthy pallet. Once Mila was ready for baby food blends as opposed to single food blends (around 8 months) I whipped up sweet potatoes and black beans for her. Since this blend does have a warm savory spice within it, Cumin, I toss in an apple to balance out the overall taste. Any suggested pairings or tips for serving the baby boy bakery x yumi recipe? This puree is so dang tasty as is. Of course it would taste great as a dip for carrots or tortilla chips. This blend is pretty hearty on its own but can be pair nicely with chicken. I’d feed this to your baby as a lunch or dinner option.